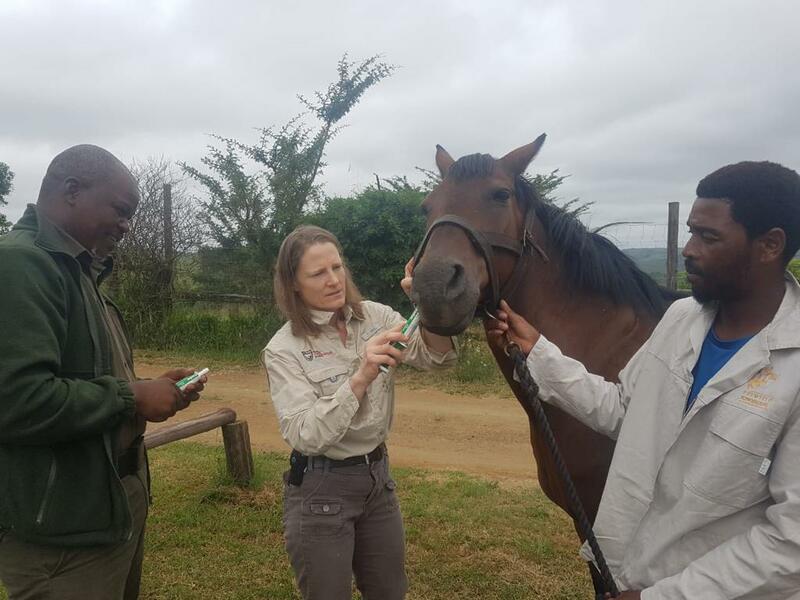 Sitting in the dawn of my second week in Africa and it is easy for me to think I’ve not accomplished much since our horses are not yet in place. That notion is quantifiably untrue if I were to look at things with someone else’s eyes of course, but I keep constant sight of the daunting calendar dates ticking away. Now, if I was to look at it from a more realistic standpoint, I would be able to tell you that much has been accomplished. 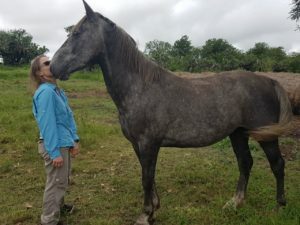 My mission was at its core, two fold; 1) To find a local tack store that may be friendly to our cause and help us source affordable saddles and supplies, now and in the future 2) Set up a new base of horses and riders for anti-poaching duties at a new preserve. Thru no doing of my own, a meeting on my second day here led me to a wonderful tack store in Assegay, South Africa. Chris Mudgway the owner of Unicorn Tack shop took deep interest in our plight to help fit mounted APU units and became the benefactor I had only dreamed of finding. With the first major check off my “to do” list I suppose if I was to accomplish nothing else this trip, I could leave Africa knowing GCF has successfully purchased 6 brand new saddles, blankets, grooming and stable supplies that will outfit two separate units and all for a price that is probably less than a month’s stable fee at the Burbank Equestrian Center. We have also found a great future partner in Unicorn Tack. Myself and Grant Fowlds have darted about Zululand sourcing horses for the new unit and while each offer of horses had a slight challenge (hauling distance, rideability, etc.) it is well worth noting the willingness of local people trying to help us get this new unit started. No one is asking us for an ungodly amount of money, in fact they are offering horses as donations to help us. The outpouring of this kind of support and networking of like-minded folks may well be the true story in all of this. In this first weeks’ time I’ve also had chance to ride with two units that are working in the field and I’ve gained great insight. My first ride was with the living embodiment of Rafiki. He is a masterful groom for one of the government run park units. The rangers were out on other duties but he was kind enough to give me an overview of the reserve. When I say overview, bear in mind he spoke very little English and the “dialogue” was given with small and large hand gestures and broad sweeping motions with his riding crop to point out something of interest.. It was positively magical riding in near silence with this lifelong man of the bush. The second unit is a highly functioning unit in the Midlands that is controlling poaching in a pretty astounding manner. 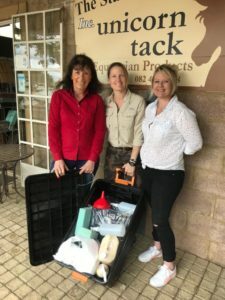 When I visited them last year, I was so impressed with their work I vowed to myself to return with saddles (their only request) and with the help of AAZK/LA and our World Rhino Day fundraiser we will do just that. This ride out was with a young ranger that happily took me off into the deeper, road free bush. Along this path we were riding quietly, I was admiring the density of the bush around me when I heard the unmistakable CRAACKKK of a large branch just ahead of us. I did not grow up in the bush but I’ve been in South Africa enough to know it could only be one thing, an elephant. Switching my gaze to the thickets beyond and yes, just 20 yards away I saw the great grey head of Africa’s most iconic species, yet his body was perfectly camouflaged. We heard a couple more rustles and then a shuffle of cracking branches as he breezed away from us. It is still amazing to me that a several ton animal can be so silent and difficult to spot, even when so close. Had he not broken the branch and given away his location we may well have ridden right by. That is of course not a knock on my ranger’s skillset but more of a testament to the stealth of the giant beast. When I read my words on paper, I see that an awful lot has been accomplished in only a weeks’ time but I know there is so much more to do. In fact, I better get on the move. It’s time to go fetch the new saddles.